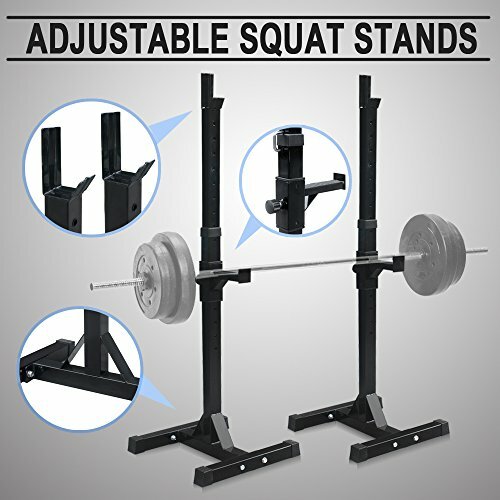 We present you this brand new adjustable squat stand. This is ideal for home use. It is made of sturdy steel that provides the maximum safety. It also provides adjustable spotters on each post that ensure your safety. This adjustable squat stand has rubber end caps that protect your floor from scratching. This is an ideal choice for your home exercise. We purchase our products directly from the manufacturers, so you know you are getting the best prices available.